A California driver and his wife had a near miss on Sunday as they swerved away from several power lines brought down by a tree covered in heavy snow. 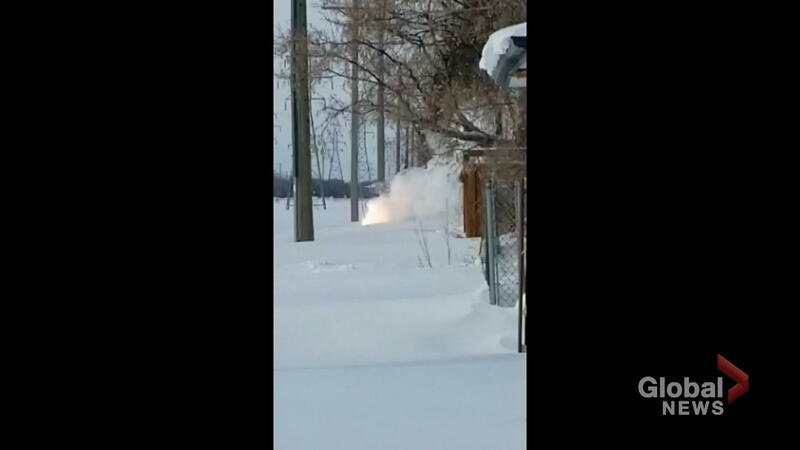 Darin McKinney and his wife Leslie were driving home in Sonora when his dashcam video captured heavy snow felling a tree, which landed on some power lines and brought them to the ground. As they pull to a stop, they see the tree blocking the road in front of them before a fire breaks out. McKinney told Storyful he made the decision to stay in the car for a reason. “Being a retired firefighter, I knew that we were safe in the vehicle and that trying to intervene in the situation was far too dangerous,” he said. A series of storms in the region have toppled other trees in mountain communities and prompted road closures. 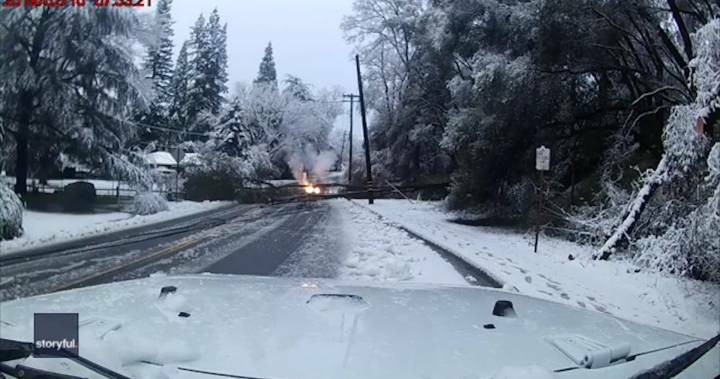 On Sunday, the Tuolumne County Sheriff cautioned people to be careful if travelling the roads as fresh snow had downed trees and power lines.